At present, most of the people survive in continuous stressful and busy life mainly due to their hectic work which may lead their life miserable. In order to get relief from stress and work tension most of the people choose yoga as a remedy to make them peace. But in most of the cases people do not find time to do yoga in regular basis, many will prefer to join in yoga classes. Even when they join yoga class due to busy schedule they can attend only one or two yoga classes per week. But attending yoga classes at least once or twice in week is really a good start up to make yourself ready for gaining more physical and mental benefits. Whether doing yoga once in a week will give expected result? While doing yoga, most of the people would have doubts how often should I do yoga to see results in better way? Is it enough to do yoga on weekly basis? As an answer to these questions here are some necessary things about doing yoga are listed below. The people with more stress and high work tension are considered to be a primary candidate of the yoga class. 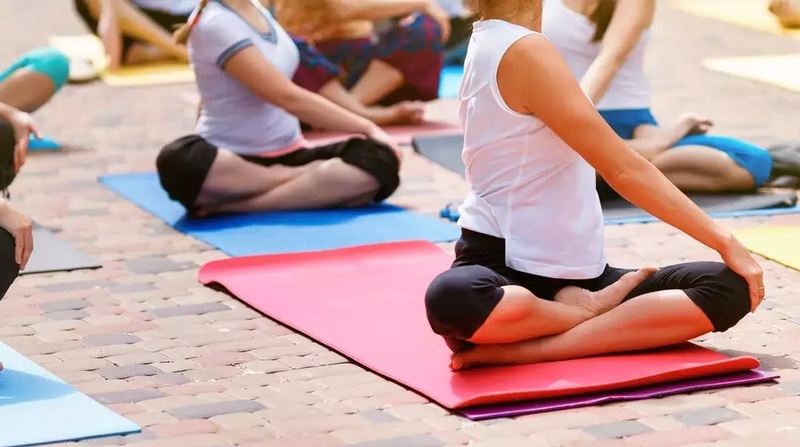 Initially if you go yoga class once or twice in a week it would make you feel calm and you can see yourself with less stressed and stretched than before. On continuous yoga practices in a week will make to do yoga in regular basis as if you are fueled to do more. It is better to attend two or three classes in a week, during start up you would feel hard to do different pose but in each individual sessions you can feel the benefits. If you became familiar with all moves then you can do yoga on your own in better way. Based on the above said point it is better to do yoga one times a week during the start up then on continuous practice you can so in alternate days till you feel comfortable in your day today life. In busy schedule you can do quick yoga like home stretch sequence, short stretch during evening before bed or during morning or it may done during work break time. You may also get help from your partner to manage some work so you can get some time to do yoga on regular basis. Previous Previous post: How mom and baby yoga differs with other yoga class?